The Murder Accountability Project has reached a settlement in its lawsuit against the Illinois State Police and is publishing online the case-level details of 432 homicides committed in Illinois from 1996 through 2015 that were not reported to the Justice Department. These recovered records, available at the "Search Cases" tab, represent only 20 percent of the estimated 2,100 homicides Illinois did not report to the FBI’s voluntary Supplementary Homicide Reporting program. Illinois ceased reporting SHR data to the federal government in 1994, but continued to gather supplemental data on homicides involving domestic violence, crimes against children and hate crimes. Illinois officials agreed to release those records as part of a settlement of MAP’s Freedom of Information Act lawsuit filed last year. Illinois officials said they have no other homicide records available for recovery. 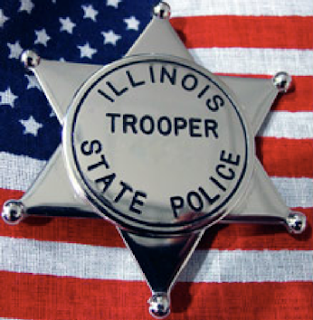 Although the state once possessed homicide records from the mid 1990s, those “documents have since been disposed pursuant of the Secretary of State’s record retention rules which only provide that paper records be retained for 10 years,” said Illinois Freedom of Information Officer Nancy G. Easum. Illinois this year has resumed gathering complete Supplementary Homicide Report data. The Murder Accountability Project was entirely unsuccessful in its attempt to obtain homicide clearance records, which Illinois also ceased reporting in 1994 to the Justice Department’s Uniform Crime Report. Illinois is the largest jurisdiction in the United States failing to report how often it clears homicides through arrest. "The people have a right to be informed about public affairs and a right to public records. Records related to homicide data and clearance rates are no exception," said Josh Burday of the Chicago civil rights law firm Loevy & Loevy, who represented MAP in the suit.